Pope Francis visited the European Parliament on Tuesday 25 November, calling on it to keep democracy alive for the peoples of Europe. His visit marked the second time that a Pope officially addressed MEPs, the first time being Pope John Paul II in 1988. 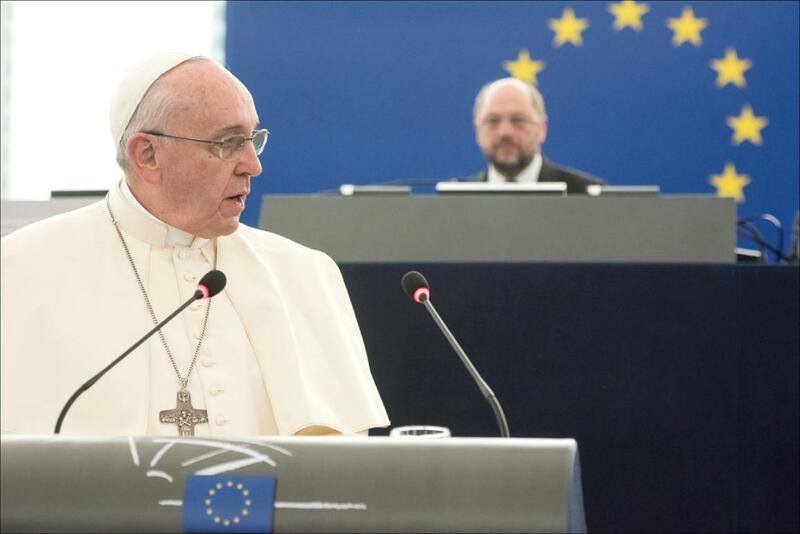 Pope Francis spoke to MEPs about issues such as employment, education and migration. Upon arrival, the Pope was received by EP President Martin Schulz during a welcome ceremony that saw the Vatican flag being raised and the anthems of the EU and the Vatican played. During his speech in plenary, the Pope also talked about the importance of human rights and dignity. "I would like to offer a message of hope and encouragement to all the citizens of Europe," he said, praising the EU's commitment to promoting human rights and advocating people's dignity.